The New Whitney, in Manhattan’s West Side / Meatpacking District is set to open on May 1st, and already the reviews are rolling in. So, in a spirit to look past those reviews (some good, some not so good) Our blog celebrates the transformative nature that such a structure brings to a once derelict part of The City. Aesthetics aside, a new museum, any new museum only serves to add as a cultural anchor in the placemaking structure of a Metropolis. Oftentimes, critics jump at the chance to take shots at what many perceive as a positive force, or in the particularities of a buildings aesthetic nature. While valid as criticism, these gestures often miss the mark of true intention. People must remember, when reading criticism, that buildings take many years to formulate through ideas and ultimately the execution by thousands of people. Involving multiple hands in the act of construction, they serve as monuments of inspiration not only for ART people, but for everyday people; The Union people and the Industry of Craft. So, as the criticism of this particular building gets solidified by the arbiters of Architectural taste (mind you they oftentimes write about buildings, but do not actually build them), remember as you read, that this particular emblem is foremost a celebration of the American Spirit. Muscular in true intention. The opening of this emblem is a projection, both inward and outward, of the Everyday People. It almost serves to defy criticism by merely existing. 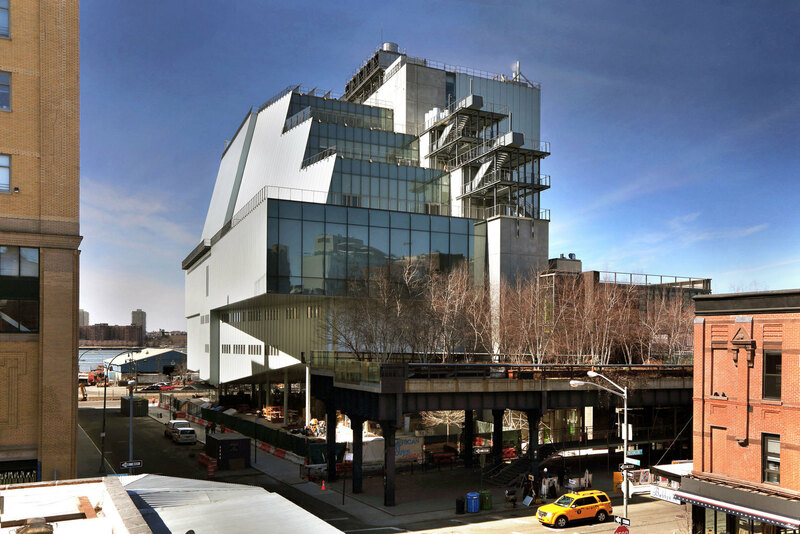 A link to The Whitney’s descriptive video on the building can be found HERE. A pragmatic take and cool video on The Museum, not necessarily criticism, from the New York Times can be found HERE.